Still trying to decide on our holiday card for 2013 (while I also try to decide if I want to even send them this year). Well whatever decision we arrive at, I’m having fun reviewing our options and sharing them with you. What do you think of these?! 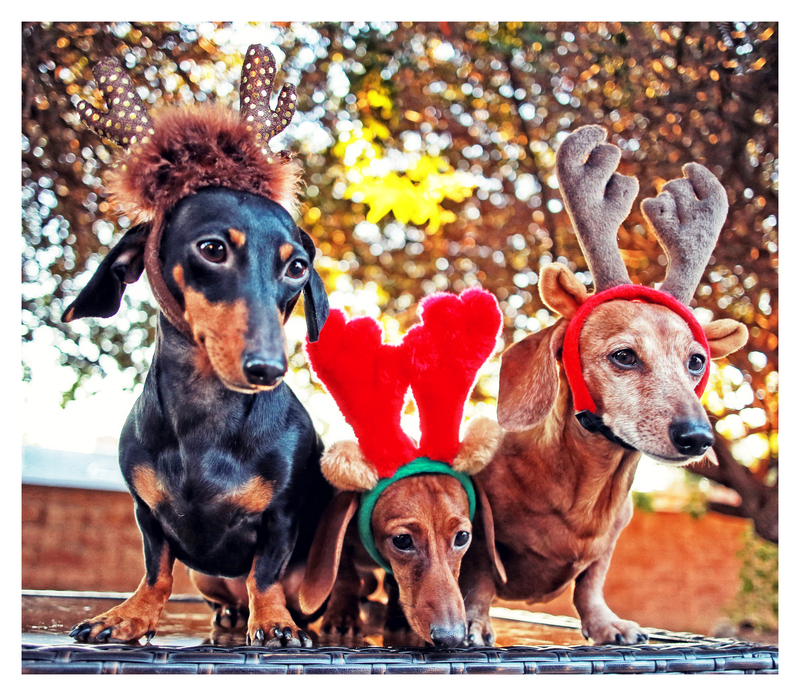 Do you think these three doxies could pull Santa’s sled?! Have a wonderful day friends. Only 10 more short days until Christmas. Yippee! 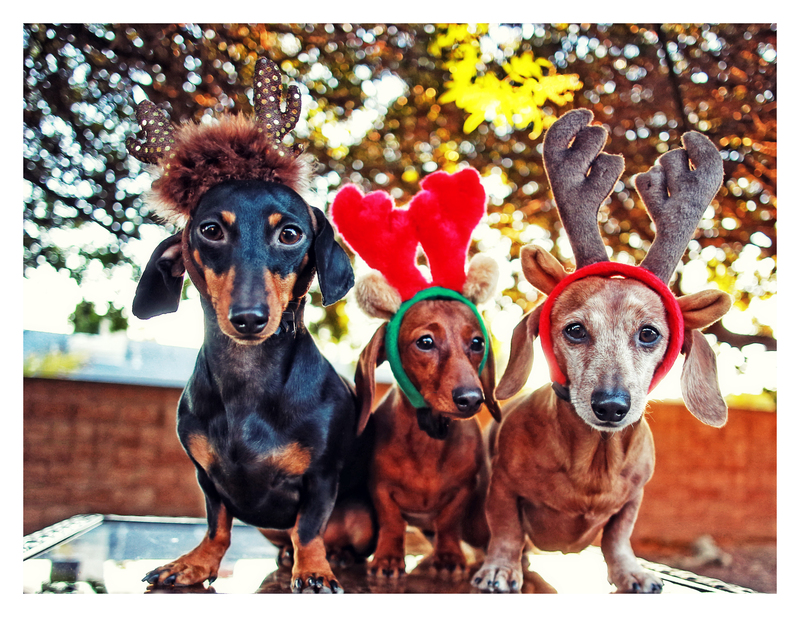 This entry was posted in Emily, Lily, Rufus and tagged #black and tan dachshund, #Christmas #holiday, #dachshund, #dachshund puppy, #red dachshund, #smooth dachshund, doxies. Bookmark the permalink. This picture is so adorable that I now have it as my new background on my PC. Merry Christmas to you, Emily, Lily and Rufus!! Merry Christmas Emily, Liy and Rufus!!!! You all are so adoreable!!!! OMG!!!! the cuteness is astounding!!! MERRY CHRISTMAS RUFUS,EMILY AND LILY !! !AND YOUR PROUD OWNER TOO !! THEY ARE SIMPLY BEAUTIFUL AND HANDSOME BABIES !!!! 😦 . . . bah humbug or just not in the mood for sending yet? I like the direct pose for Rufus and Emily in the first . . . and Lily still looking around like a puppy should 🙂 I don’t think I’ll get my three to group together yet – still not a month yet since Shorty joined our pack and they haven’t quite decided who goes where yet.